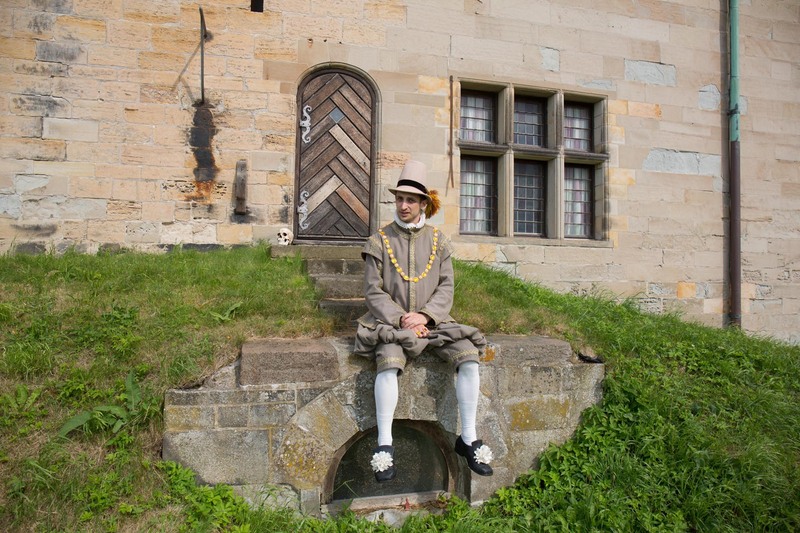 Take a tour of the castle in the company of Hamlet’s friend Horatio, and hear the drama of Hamlet as it could have played out in the famous Renaissance castle’s halls and corridors. Hear Shakespeare’s great tragedy Hamlet brought to life. Your guide through the drama – and the castle – is Hamlet’s good friend Horatio, the only main character of the play to escape with his life, and therefore the only one who can tell us the story today. Kronborg is famous worldwide as Elsinore Castle – the stage for William Shakespeare’s legendary play Hamlet. The guided tour ‘In Hamlet’s Footsteps’ tells the story of Hamlet in the corridors and halls of Kronborg Castle. Almost all the rooms found in the play can be rediscovered and experienced live at the castle. Visitors to Kronborg Castle can hear about Hamlet’s meeting with his father on the wind-swept bastion. The dramatic showdown between Hamlet and his mother takes place in the Queen’s Chamber. And the dramatic climax of the play, when the entire court is gathered at a feast that takes a bloody turn, of course takes place in Kronborg’s grand ballroom. Join in and follow the drama! Price: The guided tour is free of charge once admission has been paid.